Ben got so fed up with knife crime he painted a new message in November 2018. Ben and his compadre Adrian painted ENGAGING, the fourth, at Old Street on Thursday and Friday 21/22 April 2016. Ben’s CREATE was completed in 2014, using a similar typeface to the one he used around the Olympic site. 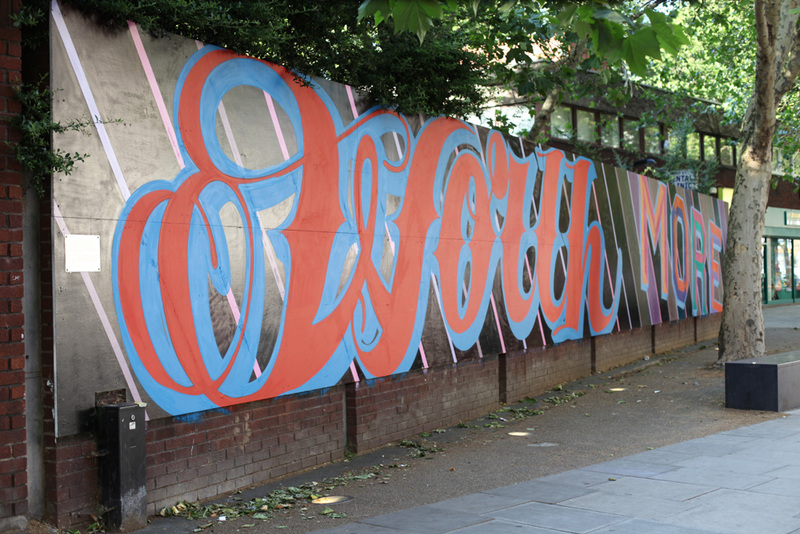 Ben painted WORTH MORE in summer 2012, and the Mark One Group filmed it in ‘CHANGING CHANGE’. Flavasum wanted to find a way to commemorate Tom’s life and at the same time highlight its objectives. 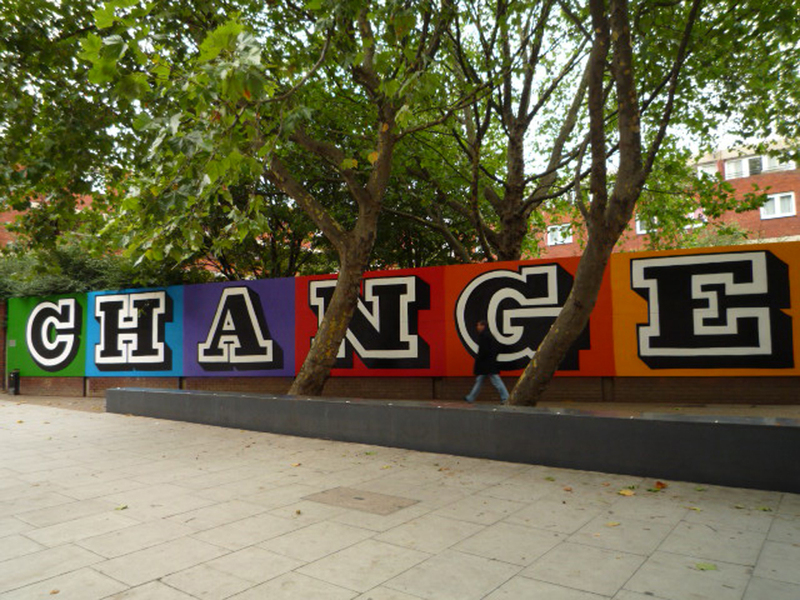 This became possible when a local street artist – Ben Eine – offered to spraypaint an art installation near where Tom was killed. 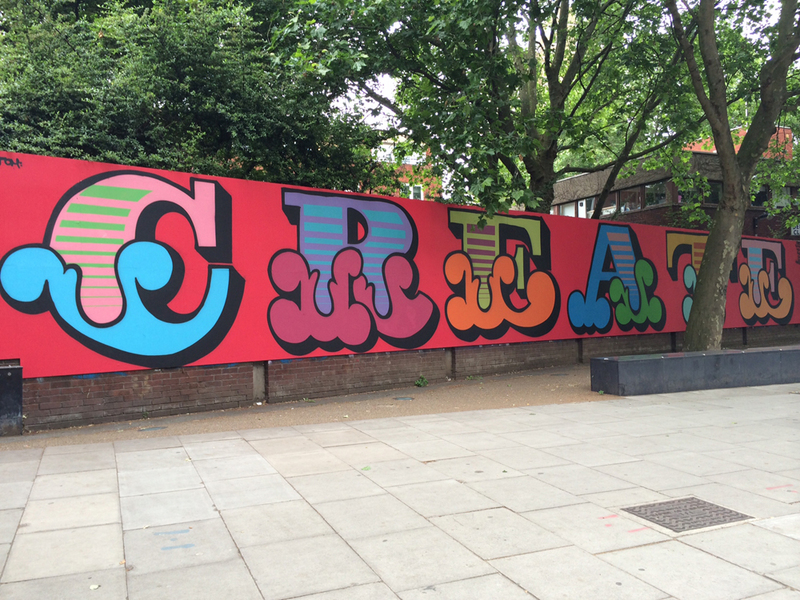 Anyone living in Hackney will be familiar with Eine’s giant spray-painted letters on shop window shutters and street walls. He rocketed to fame in 2009 when David Cameron’s wife chose one of his prints for the Prime Minister to give to President Obama during their visit to the USA that year. 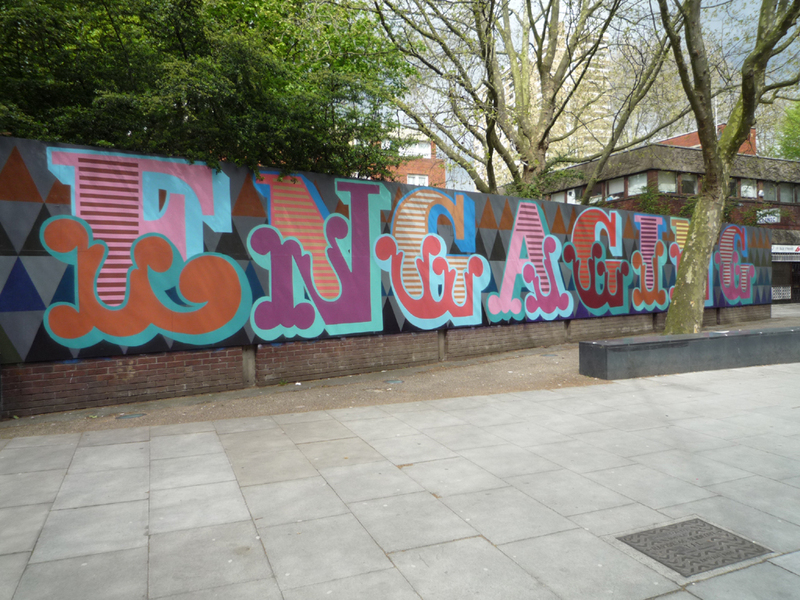 We approached Islington Council to allow us to use a wall in Old Street, close to the studio where Tom was working. Planning was approved in August 2010. A word was chosen that would make full use of the 70ft by 8ft available, and create questions in the minds of the thousands of people passing by. CHANGE was a plea for people to think about what they can do to make their communities better places for young people to grow up in. Within a few days the wall was faced with sheets of marine ply and sealed. Ben completed the painting almost overnight, and at no cost to Flavasum. Ben also screen printed CHANGE and we reproduced it as a 4-page card. Copies (including an envelope) can still be purchased for £2 each plus p&p – the inside pages are blank, so it has multiple uses!